Spring break in Detroit. Yes, Detroit. I have lived thirty minutes north of the city for almost 16 years and have just discovered some very interesting, important and beautiful places to visit in Detroit. I'm so happy to be sharing these places with my kids. So, yes, we are spending parts of our spring break in Detroit. Detroit is complicated, complex and confusing. Especially to people that did not grow up here. I have heard stories of pain and loss from all different sides--people who left the city, people who never left, people who wish for things to be different, people who are working to make things different. I have also heard stories from people who live in or around Detroit who love the city and believe in the city. I am a little baffled why everyone isn't rooting for our city harder. And when I say our, I mean OURS, all of us. This city is as Americana as it comes--industry, rivers, ports, cars, music, assembly lines, racial tension, reinvention, trailblazers, history makers. It's Aretha Franklin, Stevie Wonder, Grand Funk Railroad, Alice Cooper, Eminem and my god so many others. It's injustice, corruption, bankruptcy and fires burning. It's also new ideas, art everywhere, families, tradition and beauty. Many places you go in Detroit feel like a history lesson. Abandoned buildings or vacant spaces are left where there used to be so much life. We took the kids to Belle Isle. Tim's mother told us stories about ice skating there when she was a kid and how they had family picnics and parties there. Belle Isle used to have a casino, a zoo and more. But, like many places in and around Detroit it changed. Some of the old buildings are there. You can see where the zoo used to be. You can also see signs of a lot of life--new life, new playgrounds and new ideas. Just like the spring thaw, the older buildings and trails are coming back to life too. The aquarium, which was closed and reopened recently, happened to not be open when we were there. But the conservatory was and it was magic. My lens fogged up when I took this picture, which actually adds to the dreaminess of the room and the flowers. 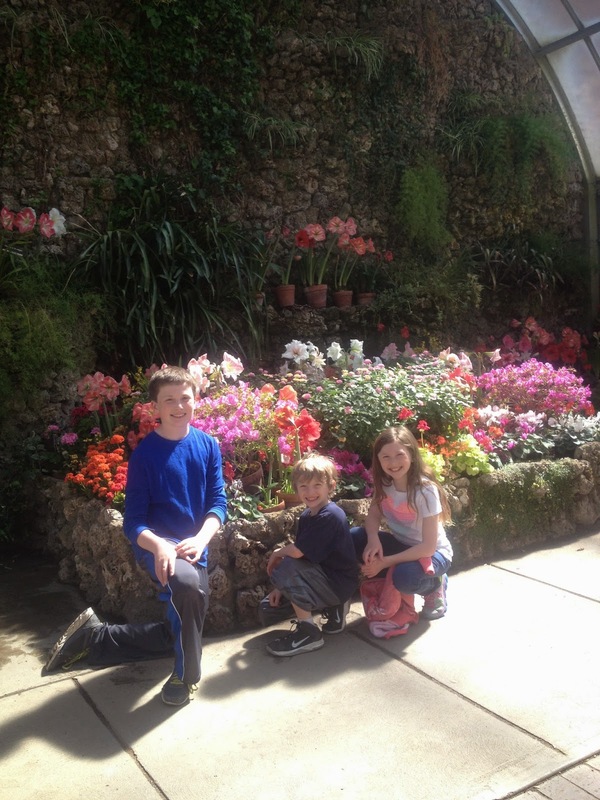 A few steps away from the conservatory is a wonderful, big playground that all my kids enjoyed. Two bus loads of children from a Detroit charter school arrived shortly after we got there. The playground was buzzing with activity and laughter and "bet you can't catch me's" and kids asking teachers and parents to "watch this." It sounded just like it might have 30 years earlier. In case you are wondering where Belle Isle is in relation to Detroit and Canada, this handy playground park can help. A little further along on the isle, is a nature center. 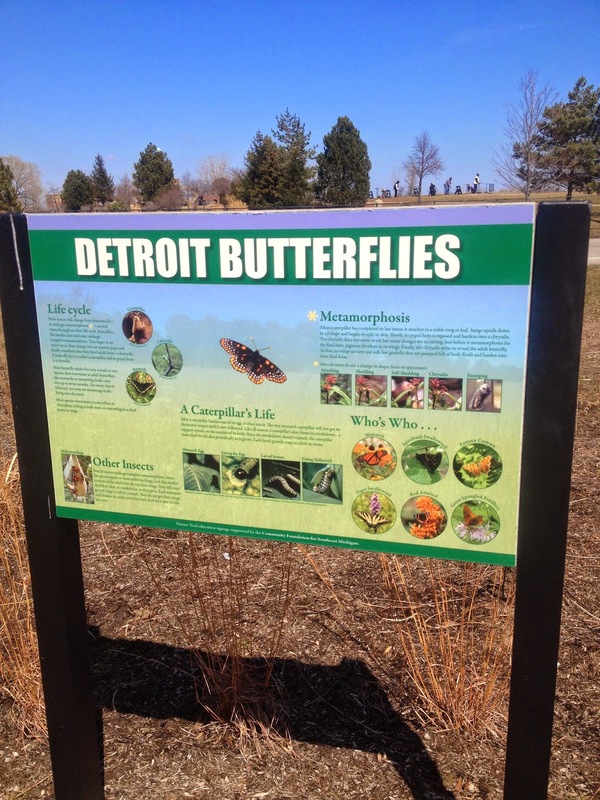 A free nature center--with speakers, nature tours, exhibits and more. Spring Break in Detroit has been full of wonderful surprises, opportunities to connect and learn and be inspired. I am so proud to be from what we call the Metro Detroit area. 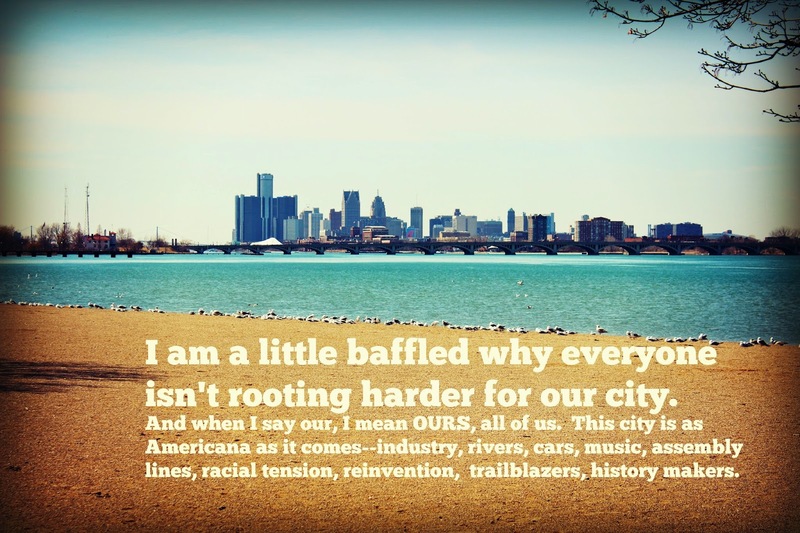 I want to be a part of the renewal and recovery of Detroit. Everyone should. This is OUR city, OUR history, OUR legacy, OUR future. Belle Isle is a 985-acre island park that the state of Michigan took control of recently. To find out more about Belle Isle click here. 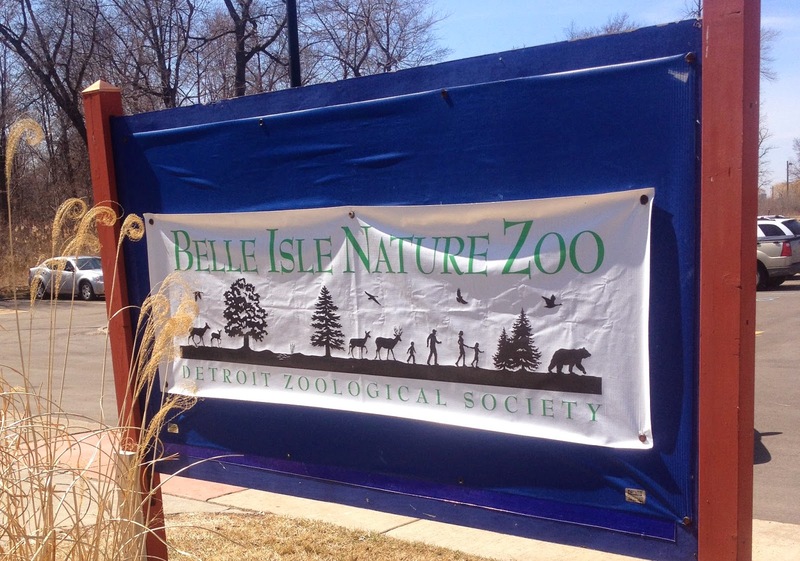 To get involved in helping Belle Isle come back to life, check out the Belle Isle Conservancy click here. Detroit looks like a great place to explore! I've never been there, but what's not to love about its unique location and all it has to offer?